This is my newest favorite vegan recipe. It's absolutely delicious, super flavorful and a snap to make, especially when you cheat and use precooked brown rice. 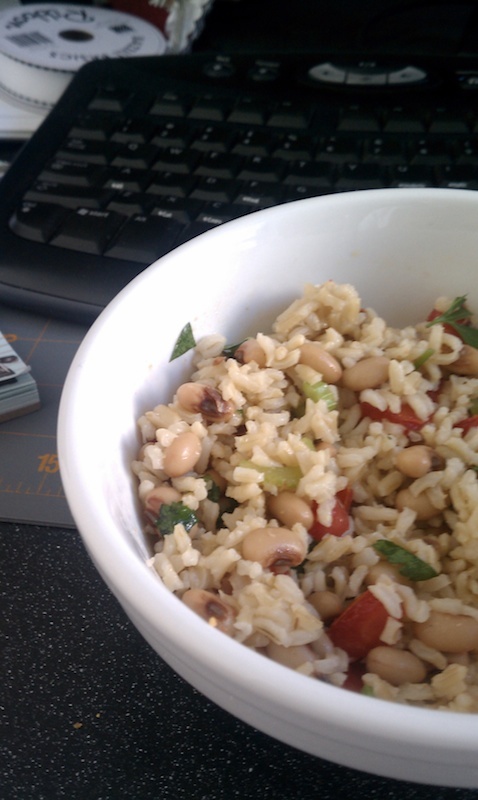 Combine black-eyed peas, rice, green onions, celery, tomato, and parsley in a mixing bowl. In a small bowl, mix together lemon juice, oil, salt, and garlic and pour over the salad. Toss gently. Chill 1 to 2 hours if time permits. So this is served cold? It would taste really good hot, too. Maybe I'll try it.